The Lost Adventures of Larry Maddock's Webley, Co-Hero of the Agent of T.E.R.R.A. Have Been Found! Before everyone's favorite acerbic, shape-changer symboite joined forces with Hannibal Fortune and T.E.R.R.A., Webley starred in three solo stories about the doings of Creatures, Inc. 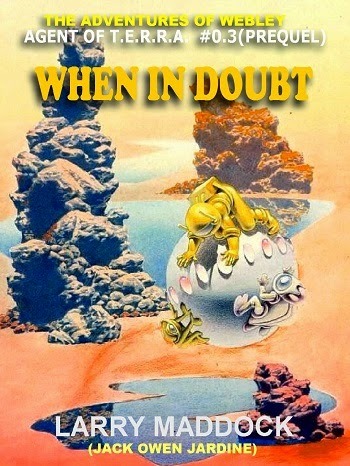 This trio of Webley tales has never been reprinted, and since it appeared in a poorly circulated British science fiction magazine, remained virtually unknown for more than five decades. strong streak of satire in his first story." 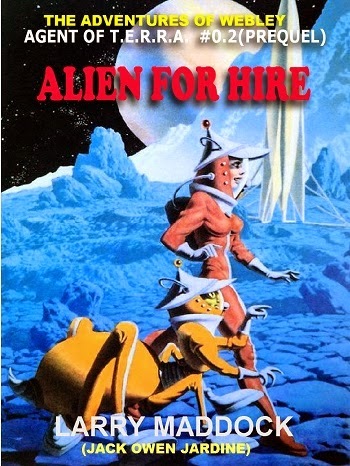 This first set of Webley tales place against a future of spaceports and star travel (as conceived by is author in the early '60s) in which Bill Grant is unable to find a place or make a living--until he meets a certain symbiote! Soon, the pair has discovered a way they can make a living together by providing an indispensable service their future world truly needs! 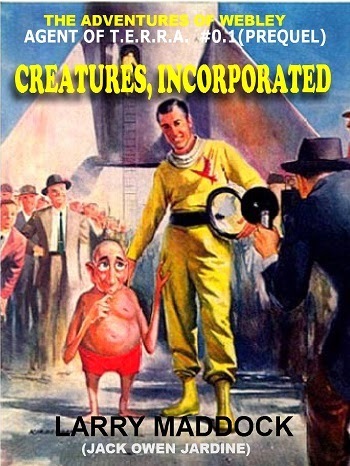 Another uproarious 1960s Larry Maddock science fiction classic. Now readers can get all three lost Webley stories for only 99 cents each - at Amazon for Kindle! And, if you haven't read it, consider Larry Maddock's classic Agent of T.E.R.R.A. series. the man with the License to Tamper - only $2.99 at Amazon for Kindle. All 7 Emperor Books Now On Sale - To Celebrate The Emperor and the Masters of Disasters New Release! To celebrate the release of The Emperor and the Masters of Disasters, the 7th book in the growing Emperor saga, FuturesPast Editions is putting all seven books on sale for only 99 cents each at Amazon for Kindle. 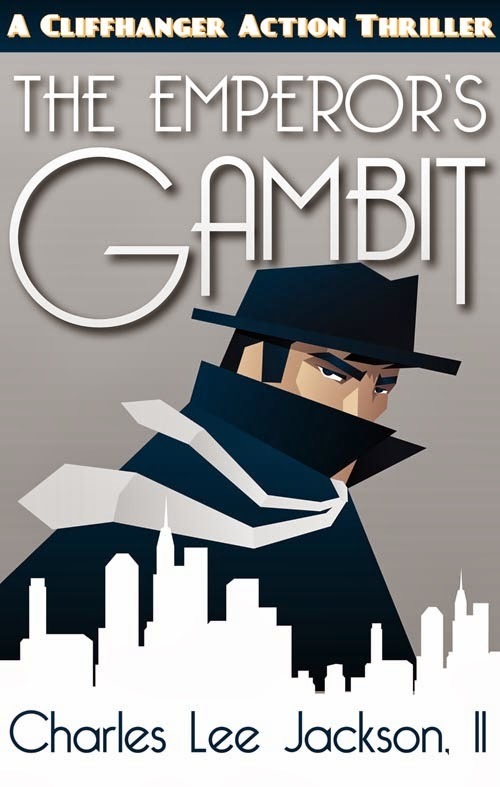 If you like quirky adventure start with book I: The Emperor's Gambit. See Charles Lee Jackson's debonair hero and his intrepid band of adventurers in action. 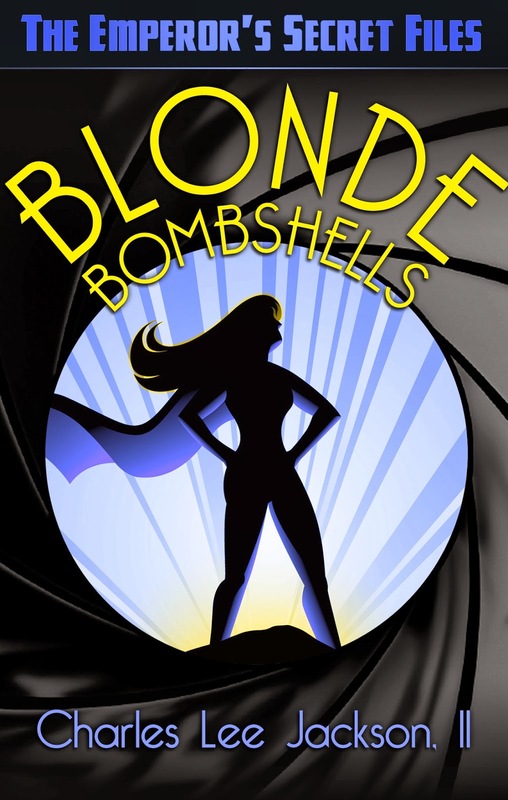 Or, if you love super heroines, try Blond Bombshells, featuring the origin stories of The Emperor's gal pals, Solara and Shooting Star. Start anywhere. You won't have a better time for 99 cents in ebook at Amazon. For forty years, Charles Lee Jackson II has been producing a body of work unprecedented in the annals of pulp magazines and comics. He has garnered a fanatic body of followers and admirers - but his work has never been made available to a mass audience before! FuturesPast Editions is prond to be designated publisher for the first ever paperback and ebook editions showcasing the exploits o his debonaire cliffhanger hero, in his fight against the forces of evil. Read the first 7 now – on sale at Amazon in Kindle only 99 cents!